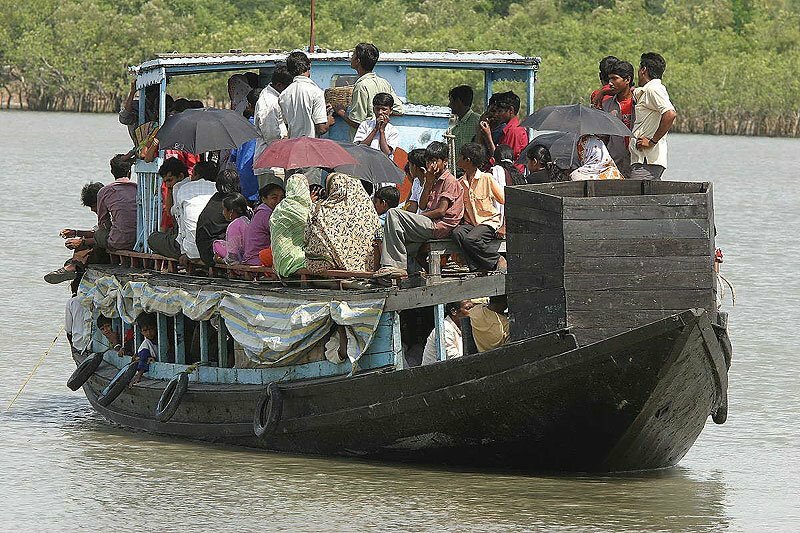 Sundarbans – the largest Project Tiger Reserve in India – is a tidal estuary where the only modes of travel are small to medium sized slow boats. It is truly a boat country. 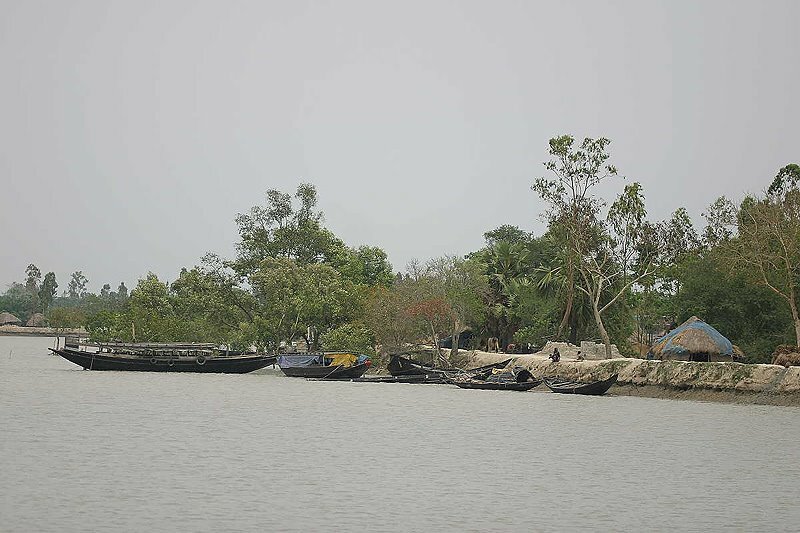 On the 25th of March, we went to the office of the Field Director of Sundarbans Tiger Reserve, which is in a small port town called Port Canning; about three hours drive from the outskirts of Calcutta. That was my first interaction ever with any Forest Department Officer of West Bengal cadre. We met quiet a few forest officers who were in charge of Sundarbans and the feeling I got was that most of them were clueless and were living in a make believe world. For instance, one very senior officer gave us a long lecture on the “fact” that writers and filmmakers were defaming the tigers of Sundarbans by spreading “rumors” that a lot of them were potential man-eaters. When I asked him if this was not true then why do forest guards take such elaborate protection measures whenever they have to get off their boats to go to the shores, inside the park? When ever the guards have to do that they load their guns (with the safety catches off), wear “tiger proof” armored jackets and helmets, put a tall nylon safety net around the entire area that they have to work in etc etc. This officer informed us that these were “routine” safety measures that are adopted in every tiger reserve in India. That was not true. In all the tiger reserves in India, the forest guards almost never carry guns; forget the rest of the paraphernalia. 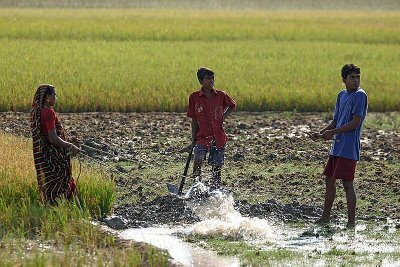 He later showed us a lot of statistics to “prove” that very few people had been attacked by tiger in Sundarbans during the last 10 years. Apparently the forest department had stopped recording tiger attacks on humans for the last 10 years and so “there were hardly any attacks on humans,” officially for the last 10 years. 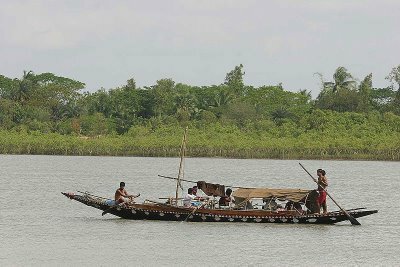 With such officers around, the future of Sundarbans did not appear to be very bright. 1. 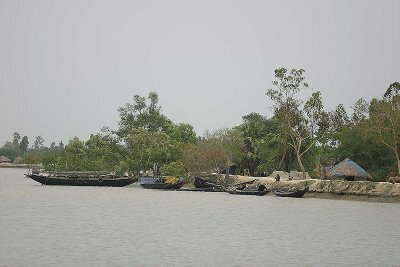 There is no way that Sundarbans Tiger Reserve could boast a population of nearly 400 tigers (that they officially do). The figure should be closer to 125 or so. This is true for almost all the Tiger Reserves in India – where officially there are two and half times more tigers than the real number. Forest Officers love to exaggerate the numbers for a variety of reasons. 2. Sundarbans has loads of problems (again lie most other tiger reserves in India), that include wood cutting, population pressure, over fishing, “economic development” etc. The reserve is totally porous and it is almost impossible to patrol its periphery. 3. Tigers will survive in Sundarbans for a long time, just because a large part of it is extremely inhospitable to man. We got back to our Hotel (Sonar Bangla – a fine place) on 31st and the air conditioning was a welcome relief after the hot and humid weather of Sundarbans. Thanks, Aditya, for sharing your adventures with us.